Today, I feel proud to launch web site of M.H. Dadabhoy Group of Companies, Pakistan. It is the great achievement of our team members and professionals working with us as family members since our presence in industrialization in Pakistan. Today, I also feel happy and satisfied with careful planning, setting up ambitious but realistic goals and constant and critical review of activities, coupled with encouragement by the Chairman of M.H. Dadabhoy Group of Companies and our valuable clients. We have earned a reputation of being a highly Professional manufacturing and service-oriented organization. M.H. Dadaboy Group was among the very first to enter the cement sector soon after it’s reopening for private sector as private enterprise. Dadabhoy Cement Industries Limited (DCIL) was incorporated on August 9, 1979 as a public limited company with a vision to provide import substitute and contribute positively and professionally towards economic growth of the country. At this occasion, I would like to welcome all viewers of our website particularly our valuable customers, foreign friends, partners and family members. We also welcome our foreign Investors, who would like to seek business opportunities in Pakistan and would like to join hands with well-established Group. Our motto and goal is to produce international quality products up to state of art customer satisfaction and long lasting life. I look forward to Group’s future with confidence, and hope that the Professional team will keep up their zeal and creativity in meeting the national as well as global economic and social goals. I would like to thank various companies and Departments of our Group for their valuable contribution for the growth of the Group. 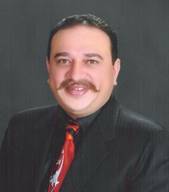 I am also thankful to Mr. Muhammad Hussain Dadbhoy, Chairman, M.H. Dadabhoy Group of Companies under whose guidance and leadership the company is growing according to his goal and vision.